Healthy corner store fare helps erase food deserts. Step away from the brown banana. Don't touch the bruised apple. And forget about that slimy hard-boiled egg you grabbed from the cooler. When's the last time you sought fresh food at a convenience store and found anything remotely appetizing? 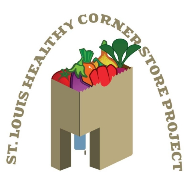 That may be about to change in some local neighborhoods, thanks to the Healthy Corner Store Project, a collaboration between the St. Louis Department of Health and Public Safety, the University of Missouri Extension and the St. Louis Development Corporation. Healthy Corner Store states its aim in its name. Funded in part by the Missouri Foundation for Health and the Missouri Department of Health and Senior Services, the project helps participating St. Louis corner stores to create a healthy store environment by suggesting what to stock (fresh produce, whole-grain products, nutritious snacks) and promoting the store within its neighborhood while educating residents about nutrition and healthy food options. "Compared to other large cities, St. Louis residents do have better access to supermarkets. However, that doesn't mean it's easy for customers to access the nearest supermarket," says project co-chair Kara Lubischer. "If you have to walk to the store or ride the bus, it can be nearly impossible to purchase an entire week's worth of groceries." More grocery stores wouldn't necessarily solve the problem, she adds. "Even if we had a supermarket on every corner, there would be no guarantee that we would be improving health outcomes," Lubischer asserts, explaining that what's needed is a community of savvy shoppers who can distinguish between what's bad for you and what's better. Lubischer and co-chair Pat Curtis identified Regal Food III (4200 Shaw Boulevard; 314-771-3544) as a store with potential, owing to a strong community organization in the Shaw Neighborhood Improvement Association (SNIA), and an enthusiastic shop owner in Berhe Beyent. "He is already interested in selling healthy foods to his customers," Lubischer says of Beyent, describing Regal as a store with a great foundation that's in need of a facelift. "And he is extremely interested in getting to know his neighbors and provide healthy items to them based on their interests." SNIA community outreach chair Laura Kinsell-Baer believes residents will discover in Regal an underutilized resource. "Because we have so few corner stores in Shaw, we liked the idea of supporting and improving what we have," says Kinsell-Baer. "It's just one small piece in supporting health among our residents, but we hope this will be a catalyst for other programs and resources." For more information, visit the Healthy Corner Store Project website.